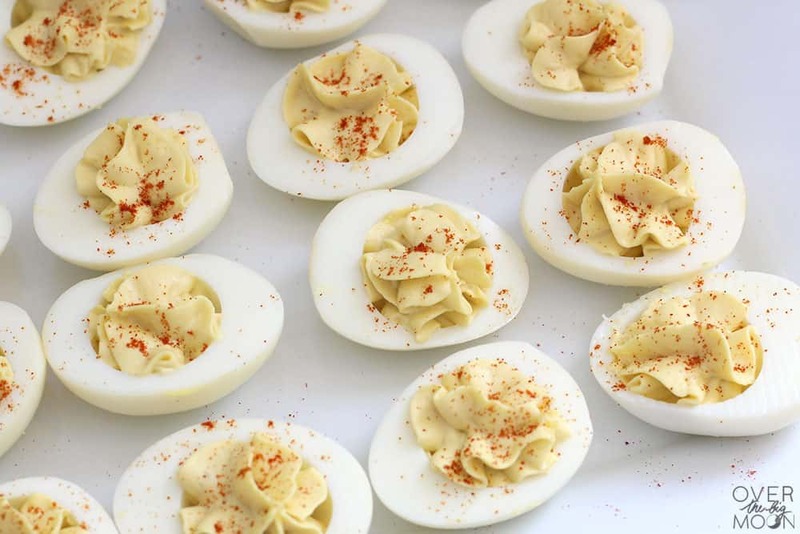 These aren’t your standard deviled eggs. 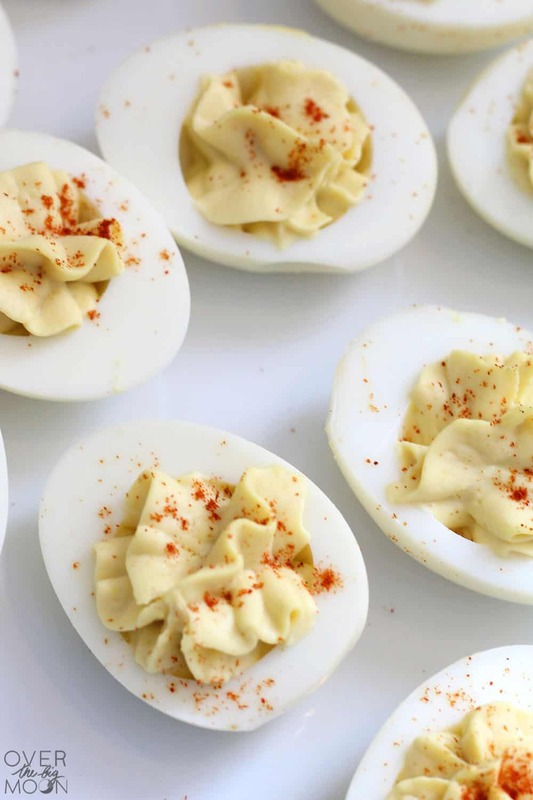 These Southern Deviled Eggs are perfect for holidays, tailgate parties, BBQ’s or even just Sunday dinner! Cooking the eggs in the Instant Pot makes them easier than ever! You guys have no idea how happy I am to finally be sharing this recipe! It’s taken a while to make it happen, because in full disclosure, this is my husbands recipe! He is the Deviled Egg pro of our families! The secret ingredient is the apple-cider vinegar guys! Most people are beyond shocked when I tell them that it’s in the recipe, but then are more than happy when they try them! 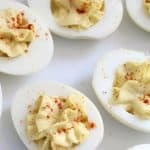 One of the other differences is that a lot of deviled egg recipes use Mayo and this recipe calls for Miracle Whip! So, without further ado! Here’s the recipe! 1. Cook the eggs in the Instant Pot for 7 mins. Release pressure manually. 2. Immediately place hard boiled eggs in ice water to cool for 10 minutes. 4. Cut the eggs in half, removing the yolk and placing it in a bowl. Place the two egg halves on a plate or platter. 5. Combine the egg yolk, miracle whip, dijon muster, apple-cedar vinegar and salt and pepper. Start mixing it together using a fork. Once combined use a hand mixer to make the filling smooth. 6. Use a spoon or piping back to fill the egg halves with the filling. Hope you love this recipe as much as me! It really is a game changer appetizer! The platter rarely lasts until dinner is served, so it is served more as an appetizer at family parties! I also quickly wanted to go over how I cook my hard boiled eggs! 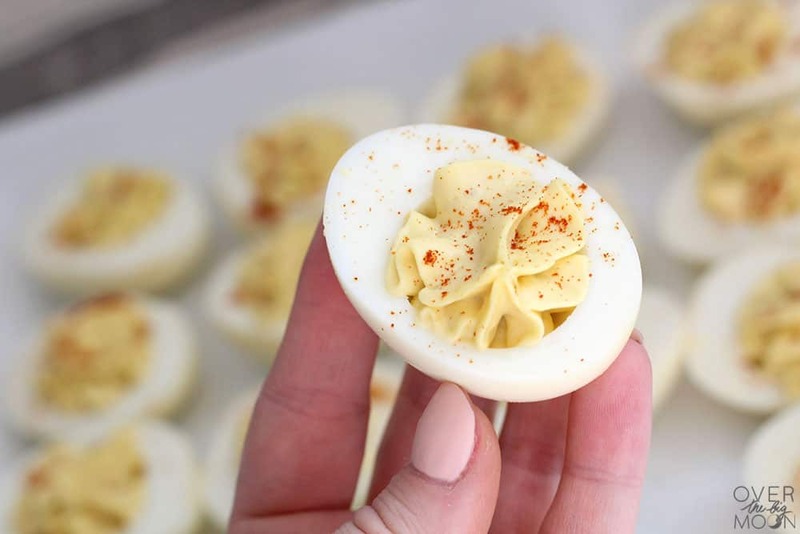 If you guys have never made hard boiled eggs in an Instant Pot, then you need to RUN and try this! It’s LIFE CHANGING! They peel like a dream! Plug your Instant Pot in. 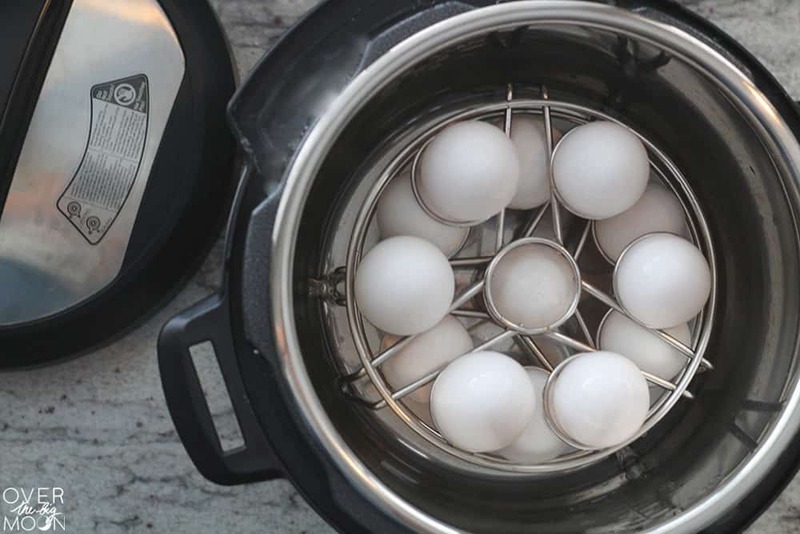 Use Stackable Instant Pot Egg Steam Racks, so that you’re able to create two levels of eggs. Put one cup of water in the Instant Pot with your eggs. Put the lid on and make sure the vent is closed. Set the timer for 7 mins. I believe the Instant Pot defaults to 8 minutes when you press the egg button, but after literally 3-4 dozen times of making hardboiled eggs in the IP, our consensus is that 7 minutes is the perfect time! When the timer goes off, manually open the valve so the Instant Pot can release the pressure. 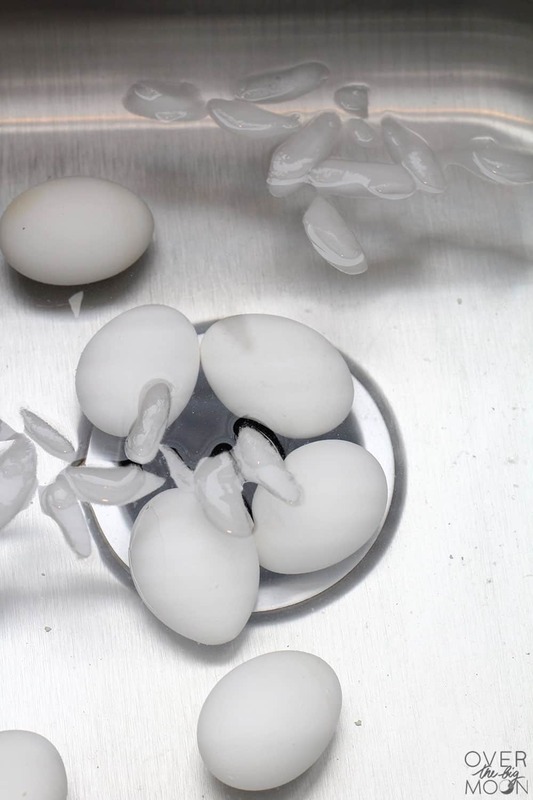 Once you are able to open the lid, immediately put the eggs in an ice water bath in the sink or in a bowl. Allow them to cool for about 5-10 minutes and then peel them. If you’re looking for another great recipe, check out one of my other favorites – Asparagus Rolls! If you love this recipe, I’d love you forever if you wanted to pin the image below!